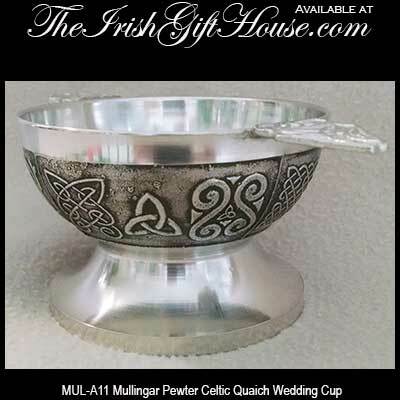 Mullingar Pewter Celtic Quaich Two Handled Wedding Cup with Celtic Knot Designs. 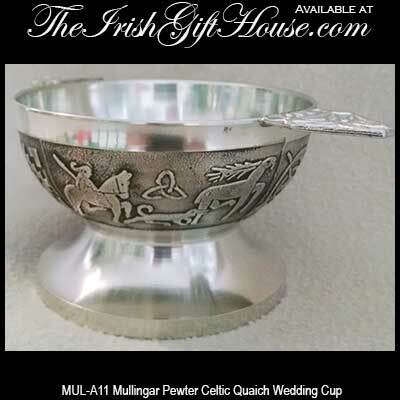 Quaich is pronounced "quake", from the Gaelic word "cuach". 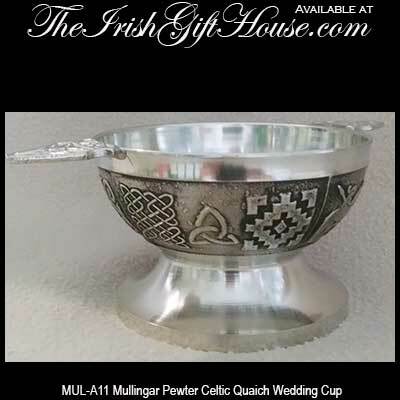 Features a Continuous Celtic Knot Motif Around the Base and on the Top of the Handles. 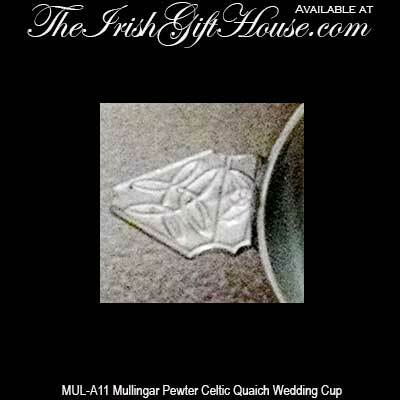 Gift Boxed with the Celtic Knot History, Made in Ireland.